Cal and Jack Thomas are two Ashland High School graduates who are currently students at the University of Oregon. This past year, the brothers took a year off from their studies to travel around Southeast Asia and other parts of the world. 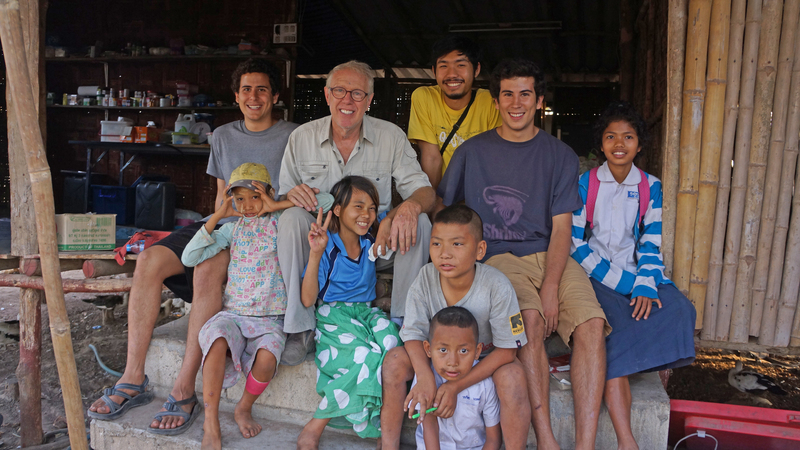 In January, the brothers arrived in Mae Sot, Thailand, to volunteer with and learn more about Eyes to Burma. So far the brothers have worked with Fred and ETB at the garbage dump; they are impressed by how much can be done for the community in supplying water, food, education, and health needs by such a small organization. While on their visit to Mae Sot, the brothers have been helping out with updates, emails, photos, and general communications. They plan to return to Ashland in early June and start work at their mother’s restaurant Louie’s. Unbeknownst to the brothers, Eyes to Burma held one of their board meetings at the restaurant. They plan to resume their studies at the University of Oregon in fall 2014.